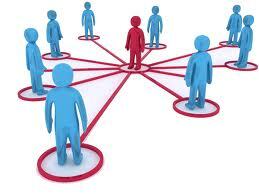 Who in your Circle of Influence is an Influencer for you? Following on from my page on Influencers, my original blog (26th November 2013 and previous Influencer Lists, I have updated my list for 2016 with some additions and omissions based on the people who actually have made a difference, inspired and actually helped myself during 2015. I have to say that during the second half of 2015, there was a huge swing in direction of people who I could truly call influencers. Thus, this list are the ones that been there in many ways and truly helped to shape the way 2016 maps out for myself. So, the behaviour of some that were included previously and were going to be included, were excluded from this list due to how the bigger picture became apparent and they did not fit in to what I could hand on heart call an influencer that I could recommend to others. This may change and they may reappear, but at present, this is a list of people I know will influence and benefit you and your business…. And here using the same reasons for me producing this list and why, plus, I know it is something that I will be re-visiting as – in my personal opinion – influencers come and go but are they still influencers? Well if they are still there to talk to me or they contact me to see how I am doing, then, YES, they will still be on my list when I next update……. Well, yes they are – why? It’s simple, come and go has many meanings and does create windows of interaction that can be consistent or frequently. Thus, I keep coming back to the same statement…. People I regard as influencers, are one’s that impact on myself and how they focus, assist or help myself, in some cases, these can be a daily, weekly, fortnightly, monthly, quarterly, half-yearly or yearly. Yet, in each and every way we interact – for me personally – it is educational, engaging, influencing, inspiring and most importantly, these people help me focus. So, to understand the factors that I used to create this list, just click here for a recap to find out all the bits behind why I feel they should be on my list…….. This list was complied based on my interactions, observations and views during the last twelve months and don’t use any calculations as these don’t take into account human interaction.